The majority of the motorcycles you see in the DR are 125cc or less and that means most motorcycles cannot keep up with highway traffic. When we lived here before, we owned a Yamaha DT125 Enduro and traveled all round the island. We pretty much have the same motorcycle today except the engine is water-cooled and the rear suspension is mono-shock. Anyway, when we are riding 2-up, we cannot keep up with highway traffic. 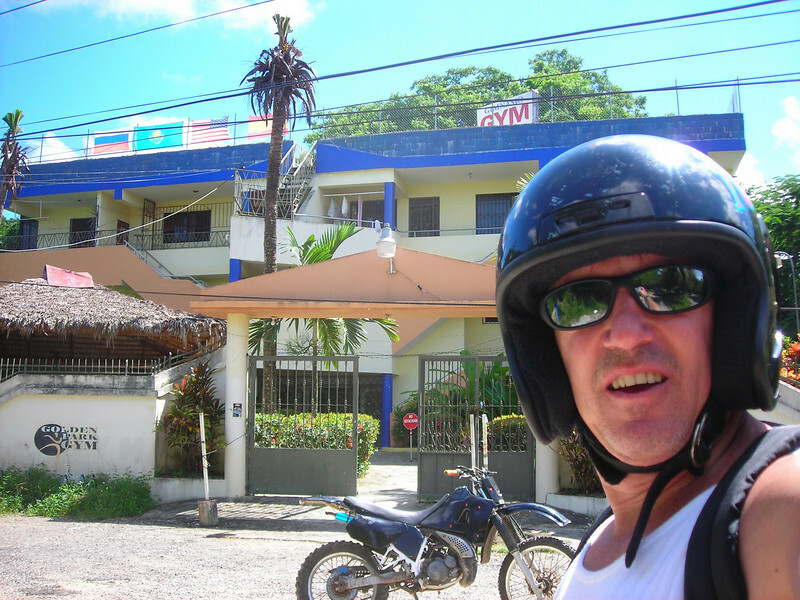 It took only one day of riding for us to remember what the rules are for motorcycle traffic in the Dominican Republic. Rule #1: Motorcycles must ride in the extreme shoulder of the road. Oncoming traffic will pass at will if there is only a motorcycle coming at them. And of course the motorcycles here have NO rear view mirrors, so even when there is no oncoming traffic, motorcycles need to assume a car or truck or a faster motorcycle is speeding up behind them ready to pass. In addition, if you are not riding far enough over onto the shoulder, passing vehicles will let you know the rule by passing with only inches to spare between you and them. This only happened to us once or twice before I remembered the rule. Rule #2: Always expect the unexpected. Oncoming cars, trucks, or whatever appear in your lane at anytime. In the village Sosua, there are a lot of one-way roads, but that means nothing except that if you are going the wrong way you are expected to yield first, unless of course you are a larger vehicle.